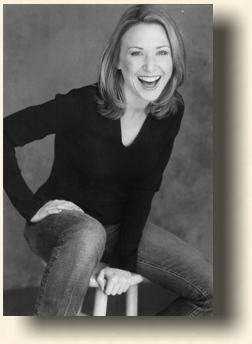 Tami Tappan Damiano appeared on the Colony stage as Marianne in The Grand Tour. She is originally from Washington, D.C., where she received the Helen Hayes award for Supporting Actress in Lydie Breeze by John Guare. She is a graduate of Carnegie Mellon, and was seen on Broadway as Ellen in Miss Saigon, a role she also performed in Los Angeles. Perfomances include Sarah in Guys and Dolls for Musical Theatre West, Queenie in The Wild Party for Musical Theatre Guild, Side by Side by Sondheim at the Rubicon Theatre (2004 Ovation Nomination), Diva #1 in Swing! at South Bay CLO, Polly in Crazy For You at Musical Theatre West (2003 Ovation Nomination), and Stella in A Streetcar Named Desire for the Rubicon Theatre. Favorite roles include Princess Leonide in Triumph of Love (Santa Barbara CLO), Kathy in Singin’ in the Rain (Musical Theatre West), Woman 1 in I Love You, You’re Perfect, Now Change (Musical Theatre West, La Mirada), and Shirley in Lady Be Good (La Fenice Opera, Venice, Italy). Tami has a solo CD for LMI Music, “Hot Notes,” and is performing in concerts all over.